Bengali New Year (Poila Baisakh) 2019 Date in India: People clean and decorate their houses to welcome the New Year, and also make beautiful colourful rangolis or alpona outside their homes. Bengali New Year (Poila Baisakh) 2019 Date in India: It is time to celebrate the regional new years, and Poila Baisakh is the celebration of the Bengali New Year. The festival marks the first day of the Bengali calendar and generally falls around April 13 or 14, according to the Gregorian calendar. This year, the much-awaited festival will be celebrated on April 15 (Monday). The day is celebrated with much fanfare not only in India, but also in neighbouring Bangladesh and even across the globe. People clean and decorate their houses to welcome the New Year, and also make beautiful colourful rangolis or alpona outside their homes. They visit temples and pray for good fortune and prosperity in the coming year. The day is celebrated as Bihu by the people in Assam, as Vishu in Kerala, and as Puthandu by the people in Tamil Nadu. While some people argue about the origin of the Bengali calendar, it is believed that it was introduced by Emperor Akbar, and is a combination of solar Hindu calendar and the lunar Islamic calendar. 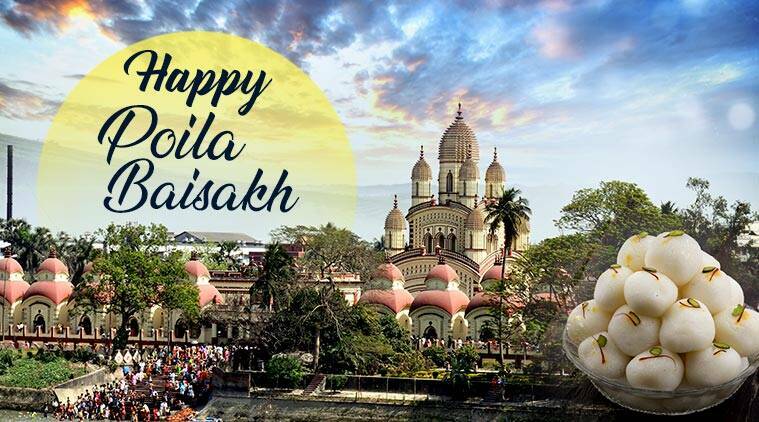 Poila Baisakh also marks the beginning of the new financial year for the Bengali business community, who visit shops and buy valuables as it signifies good fortune. They also worship Lord Ganesha and Goddess Lakshmi on this day. People wear new clothes and indulge themselves in sweet delicacies, to celebrate the day.